IL's expert in exterior remodeling, Siding & Windows Group provides you with experience and results that you expect for your remodeling project. We're comprised of a team that has dedication, puts in hard work, is passionate, all the while ensuring that the customer has a genuine experience and one that can be easy and ultimately enjoy. We're an Exterior Remodeling Company that supplies and installs Siding, Windows & Doors, Roofing, Gutters, Insulation, Trim, Soffit & Fascia and Porches & Decks. Types of projects we work on are new construction, repair and remodel residential and commercial buildings. We work closely with a representative from each product we install to ensure proper training and are certified installers for brands that offer. Brands include James Hardie, Marvin Windows, Pella and Mastic. Siding & Widows Group achieves an award year and year for the top volume of James Hardie Siding re-sides in Illinois and have humbly received awards across the industry for customer service. For over 30 years our guarantee for compromised quality in any area remains. That standard is what has built our reputation. It is evident in each person on the Team and most importantly for the people we work for, the customers. Feel free to reach out to us. Our Project Consultants/Estimators are eager to help and have a decade plus each of experience under their belt – this Team includes Angelo Liosatos, John Safakas, Neal Katz and Julie Wallace. Financing available through EnerBank and Synchrony Financial (used to be known as GE Capital Funding). Offer 0% Interest for 12 Months – up to 18 Months! We would love to hear from you! With over 15 years of industry experience, the professional team at GMART, Inc. is known for our responsive, reliable and efficient services. Owned and operated by exterior home improvement contractor Greg Martyniak, GMART excels at capturing each homeowner’s vision for their newly renovated home exterior and delivering a final result that exceeds customer expectations. We provide the highest quality in craftsmanship and materials, focusing our trade to siding, windows, gutters, and doors exclusively to provide every client with the best possible experience. 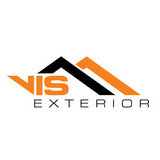 Founded in 2001, VIS Exterior Corp has been transforming the exteriors of Naperville and surrounding areas homes for more than a decade. VIS Exterior has been accredited by the Better Business Bureau with an A+ rating and is a licensed, insured and bonded company specializing in all types of Siding, Replacement Windows, Roofing, Guttering, and Hail & Wind Damage Repair. Erdmann Exterior Designs LTD. has been providing exceptional satisfaction and quality in the exterior business for over 30 years. Changing your exterior is an important personal investment decision. We believe it should be a rewarding experience between the contractor and the client. Each project that we undertake is enhanced by our extensive knowledge and passion. We provide and deliver only the highest quality products to meet your expectations. Loyalty, Quality, Craftsmanship, and Personal Service are what you can expect with Erdmann Exterior Designs. Erdmann Exteriors offers the best available products for windows (Marvin, Pella, or Simonton), roofing (shingles, cedar, shakes, tile, slate, or custom metal work), and siding (cedar, composite, and aluminum fascia and soffit). 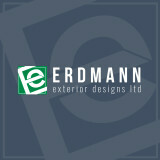 Erdmann Exteriors offers in the installation with the best craftsman for your project. Continental Wall Systems Group, Inc. was founded in 1993, in partnership with Eric Mazur. In 2004, the company merged businesses with Derek Grabowski, owner of the Northland Masonry. Together we created an almost complete exterior wall company. Mr. Mazur became President of the company while Mr. Grabowski is the head of masonry operations and the Vice President of the company. Continental Wall Systems Group, Inc., also known as CWSG, Inc., is an exterior wall applicator with 25 years of experience. We are skilled professionals specializing in modern Stucco, EIFS, Paint and Masonry work. Our projects consist of new construction and restoration of residential as well as commercial properties. What makes our company trustworthy and dependable is that we work as a team. Our employees are loyal and have been with us for many years, thus we trust their professional skills will always allow them to accomplish any project to the customer’s satisfaction. We attend specialized trainings annually in order to keep up with the latest standards. With work ethics and craftsmanship derived from our European background we always strive for excellence and to meet customer’s expectations. As a result we have an extremely high rate of referrals and numerous returning customers. Despite the very demanding market we are able to offer the finest quality work at reasonable prices while providing all materials and services according to your requirements. Chicagoland Builders Inc. is your trusted source for the highest quality craftsmanship, materials, and construction services. Ranked as an A+ business by the Better Business Bureau, Chicagoland Builders will exceed your construction expectations! Whether you are looking for Energy Star windows, a brand-new patio door, a new roof and gutters, siding, or a great solution for providing additional living space to your existing home, you can be sure that the team of professionals at Chicagoland Builders, Inc. will work with you to create a home that you will enjoy for years to come. Whatever your construction goals, we use only the best materials and brands including Owens Corning, James Hardie, PlyGem, Pella, Quaker, Henry, ProVia, and Quadlock. Chicagoland Builders is completely licensed, bonded, and insured. As an added benefit, Chicagoland Builders functions as a window wholesaler, so we pass on our savings to you! We aim to consistently go above and beyond your construction goals and expectations and are proud of the fact that most of our business is built upon referrals from our valued customers. To check out what some of our other satisfied customers have to say, please visit our profile on the Better Business Bureau and Guild Quality websites. Call us today for a free estimate! 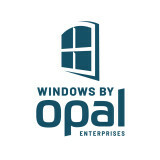 Opal specializes in exterior home renovation. We improve homes with high quality siding, roofing, windows, and doors. Our team is focused on giving each homeowner a wonderful remodeling experience and long lasting beauty. Bak Brothers Remodeling has been serving the North Shore area and its surrounding suburbs since 1995. By pairing your needs with our product recommendations, we focus our approach on providing unsurpassed service valued alongside what we believe to be the embodiment of the home remodeling process: credibility, honesty, and an extremely high standard of implementation. D-Wing Construction has been a trusted home improvement and remodeling contractor in Fox Valley Area since 2001. We add value and beauty to our customers' homes by providing the best products and solutions and quality workmanship. Get instant quote: (847) 380-6911. We're Exterior Renovation Pros serving North & Northwest Chicago Suburbs . What sets us apart is our professionalism, exceptional service but more importantly, we deliver on our promise. 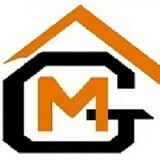 Roofing & Siding Specialists. Need help with claim? Public Adjusters & Insurance Claim Experts. Exclusive Limited Time Offer: $500 OFF Roof Replacement. Mention Coupon code: HOZZ19. When it comes to your home, high quality materials installed correctly by experienced professionals give you maximum performance and long lasting satisfaction. With over 25 years of exterior design and installation experience and thousands of satisfied customers. Nobody knows exteriors better than Great American Exteriors. From a total home exterior renovation, to a new front door or just a few windows. The Great American Exterior’s team takes pride in helping you design your exterior and exceeding your expectations. 4 Exterior Inc - Exterior contractor - roofing, siding, gutters , soffit , fascia and windows installation. Chicagoland company you can trust. If you looking for a licensed, insured, experienced and reliable exterior contractor? It doesn't matter whether your needs are for home or business. If you have a large or small project, we will handle it all. Finding the right exterior contractor for your needs can be a challenge. We have years of experience and take outstanding care of your home or office providing emergency, residential and commercial roofing, siding and windows work with a quick response to your needs and free no obligation estimates. We always do professional and affordable work with guaranteed quality. We get the job done right the first time with our qualified and experienced experts. We pride ourselves on customer service. Our expertise is your piece of mind for a job well done. Call us today for all your exterior needs. The siding of your home is a hugely important factor when it comes to first impressions; a damaged or mismatched exterior can cast a negative light over a property’s entire aesthetic! If you need new siding installed, or your exterior is in need of repair, repainting or replacing, a Saint John, IN siding and exterior contractor can help you out. What types of siding services do Saint John exterior contractors provide? Wood siding needs more maintenance than less-expensive, low-maintenance vinyl siding, but with proper care it will outlast vinyl siding, which can fade and crack over time. Your Saint John, IN contractor might also suggest fiber cement siding, which is fire resistant and termite-proof and can come with a warranty of up to 50 years. Find siding and exterior contractors in Saint John, IN on Houzz. Narrow your search in the Professionals section to Saint John, IN siding and exterior contractors. Find out how long a Saint John, IN exterior remodeling contractor has been in business, view portfolios, read reviews and get contact information.